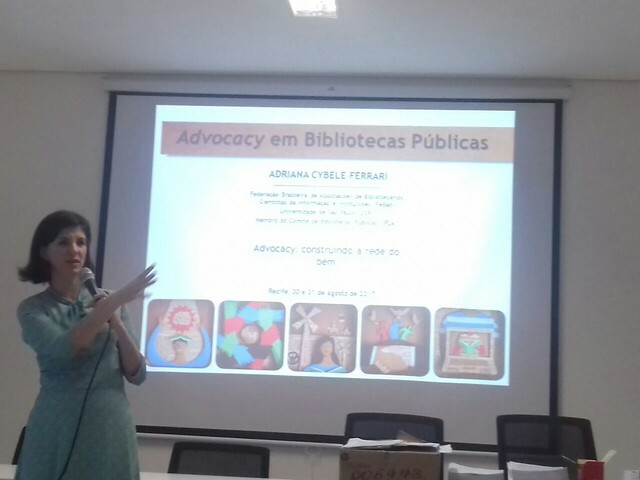 In June 2016 we visited the Public Library of the State of Pernambuco to start implementing the Tô na Rede in the State. Five months later, on November 17th, we held the MOB Escuta meeting in Recife. We brought together professionals from public and community libraries, NGOs, social and cultural groups and people interested in the topic to talk about Tô na Rede and its arrival in the State. The meeting was an opportunity to listen and share local, national and international experiences and to think together about the agenda for Tô na Rede in 2017. It was then that we began to mobilize, integrate, inspire and act in a way that engages the community. In April 2017 Tô na Rede officially arrived in Pernambuco! The directors of the Instituto de Políticas Relacionais, Daniela Greeb and Vanessa Labigalini, traveled to Recife for the validation meeting of the program in the State. We had the presence of Murilo Cavalcanti, Secretary of Urban Security of the city, Lucia Roberta, Secretary of Education of Pernambuco, Silvana Meireles, State Secretary of Culture. 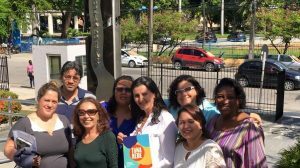 In addition to the Coordinator of the Municipal Library System, Teresa Cristina Marinho, representatives of Ebrasil, the State System of Public Libraries and various libraries in the region. 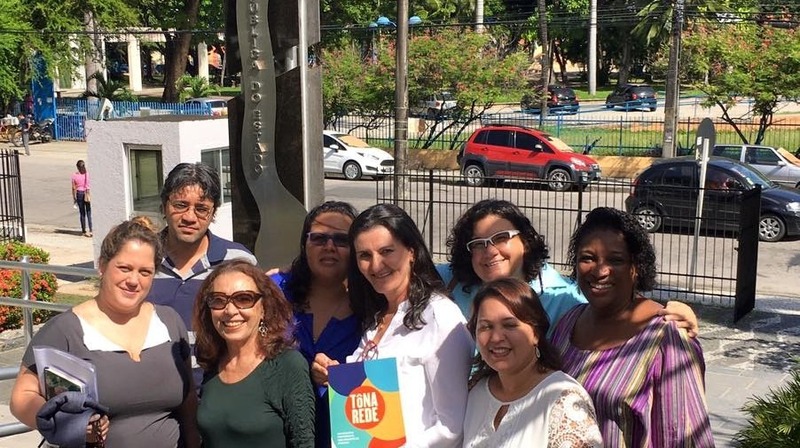 We talked a little about the work we have been doing since the year before and start warming up for the meeting Mobiliza Recife and Pernambuco – Social and Cultural Entrepreneurship, which took place on May 23rd. May 23rd was a day of celebration at the Compaz Ariano Suassuna, in Recife: we held the meeting MOB Pernambuco – Cultural and Social Entrepreneurship. The proposal, besides celebrating the arrival of Tô na Rede in the State, was to engage the largest number of people, strengthen cultural citizenship through public libraries and improve their relationship with the community. We brought together and mobilized young people, librarians, reading mediators, teachers and those interested in the theme to, together, build the library of dreams: one that increasingly responds to the information needs and transforms the lives of the people around them. It was a day of lectures, debates and exchanges of experiences with people who have made a difference in Brazil and around the world for the common good. We also addressed the theme of the UN 2030 Agenda and talked about the role of libraries in its realization. The Tô na Rede – PE trainings are taking place during the second half of 2017. In the first week of July (06th and 07th), the directors of Instituto de Políticas Relacionais, Daniela Greeb and Vanessa Labigalini, taught the first module: Ethics and Citizenship. Then, on July 27th and 28th, came Talent Recognition taught by Erica Faria. At the end of August, the class learned about Advocacy for Libraries, with Adriana Ferrari. In September, Veridiana Negrini and Martha Lemos did the Local Mapping work. The biggest block, five days. The following month, the theme was Critical reading of the use of communication, given by Isis Lima Soares. Between November 28th and 29th, Veridiana and Martha return with the Annual Plan of Activities and the Agenda 2030. And on the 30th Felipe Lavignatti, comes to teach a little more about Information and Communication Technologies. Essential tools for achieving all the goals. Finally, Daniela and Vanessa will return, on the second week of December to close off the training. The programming was so complete and the demand of the employees of the libraries of Pernambuco so big that we increased from 60 to 80 spots!